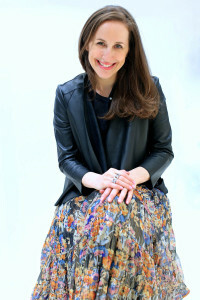 Ariane Zagury is the founder of Rue Madame Fashion Group. An investment banker by training, Ariane Zagury was raised in a family of textile retailers in France, developing a taste for fabrics and fashion during her formative years. Graduating from the Universite Paris Dauphine in 2003, Ariane started her career in some of the most prestigious financial advisory groups, namely Rothschild & Cie, Paris and Credit Suisse. Rising swiftly through the ranks, she was named Director of the Foreign Exchange Desk at Goldman Sachs in London. August 2008 brought a major shift in her life when she relocated to Hong Kong. Ariane was immediately struck by the women’s fashion sense and style, yet she was disappointed by the lack of fashionable, feminine and wearable designer brands on offer locally. To fill this void, in 2010, she opened her first concept store named “Rue Madame.” She collaborated with Patricia and Nathalie Samson who have had distinguished careers in the international fashion world, owning well-established concept stores in Paris. Over the past few years, Ariane has become a trusted fashion adviser, bent on finding the perfect look. She creates personalized wardrobes that are compatible with the lifestyle of each of her customers. Furthermore, Ariane insists upon providing the best products and services at a reasonable price. This combination has made Rue Madame one of hottest fashion concept store in Hong Kong, securing the fidelity of a steady clientele. Her enthusiasm for fashion and her unrelenting attention to detail have drawn the attention of renowned international brands. The management of American Vintage and Phase Eight have recently appointed Ariane as partner and entrusted her with the development of stand-alone shops. She has officially set up the “Rue Madame Fashion Group” and was named as one of the “2013 Local Heroes” by Hong Kong premier magazine, Ming Pao Weekly.